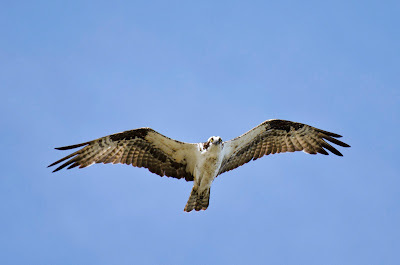 An osprey, Pandion haliaetus. Click to enlarge. Some birds fly south away from us in winter. Others fly south to us. Osprey leave the Forsythe National Wildlife Refuge in New Jersey, where the above picture was taken, in early September. They spend the winter along the coasts of Central America and southern North America, and throughout much of South America. Two male northern pintail ducks, Anas acuta. Northern pintail ducks breed in summer in Northern Eurasia, Alaska, and across Canada. They fly south to spend the winter along the east and west coasts of North America and across the southern half of the United States and into South America. 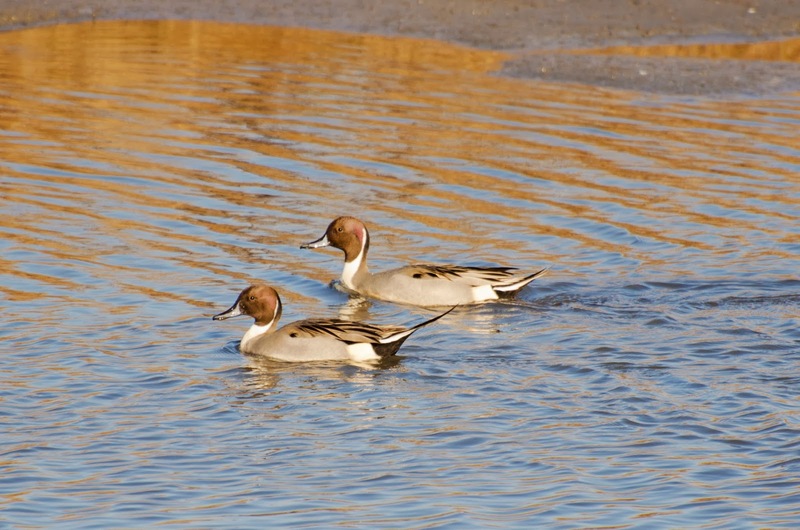 Some pintails, like the ones in this photo, end up at the Forsythe Refuge in south Jersey. The ospreys are gone, but the pintails are back. Yay!